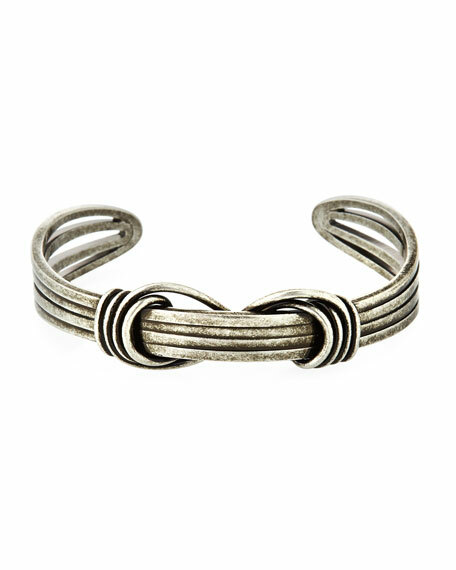 Saint Laurent men's cuff bracelet in twisted wire. 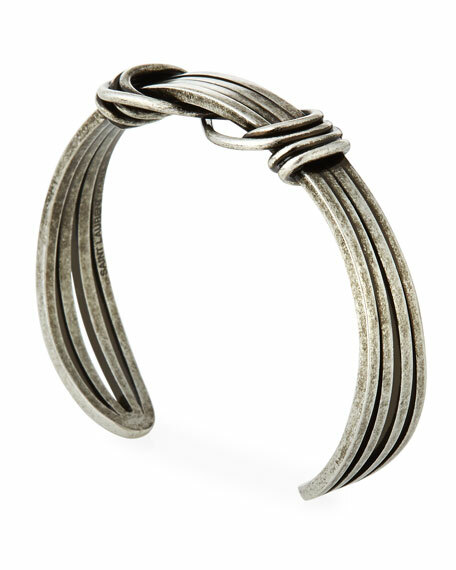 Black leather Konstantino men's bracelet with sterling silver and pave spinel bar. Scrollwork etching and engraved crosses. Push-lock clasp. 3"
Black leather Konstantino men's bracelet with sterling silver and pave spinel bar. Scrollwork etching and engraved crosses. Push-lock clasp. 3" opening. Handcrafted in Greece. 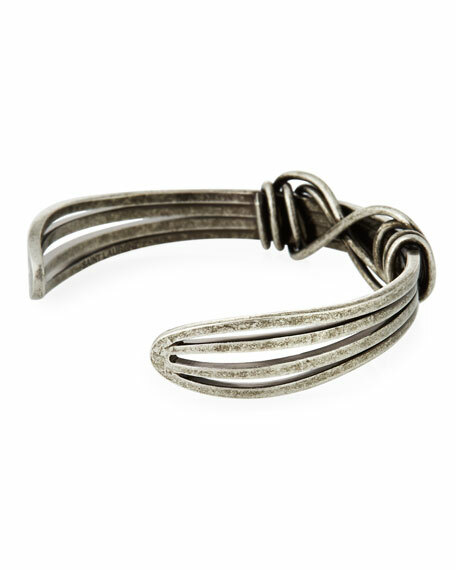 Konstantino sterling silver men's ID bracelet. Approx. 3/4"W; opening 2 1/2"W. Leather band with scrollwork engraved station. Pave black spinel cross. Box clasp. Handcrafted in Greece.